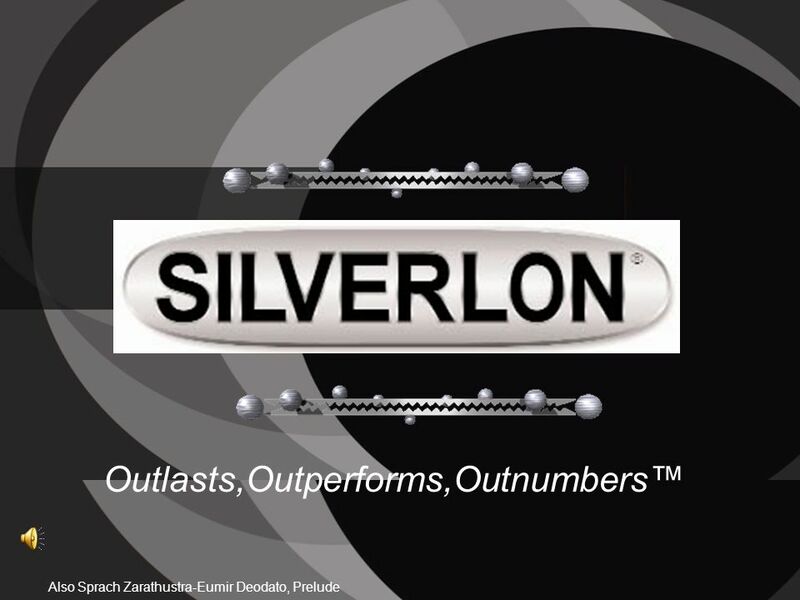 Silverlon® is the most cost effective silver product on the market and is the most versatile. 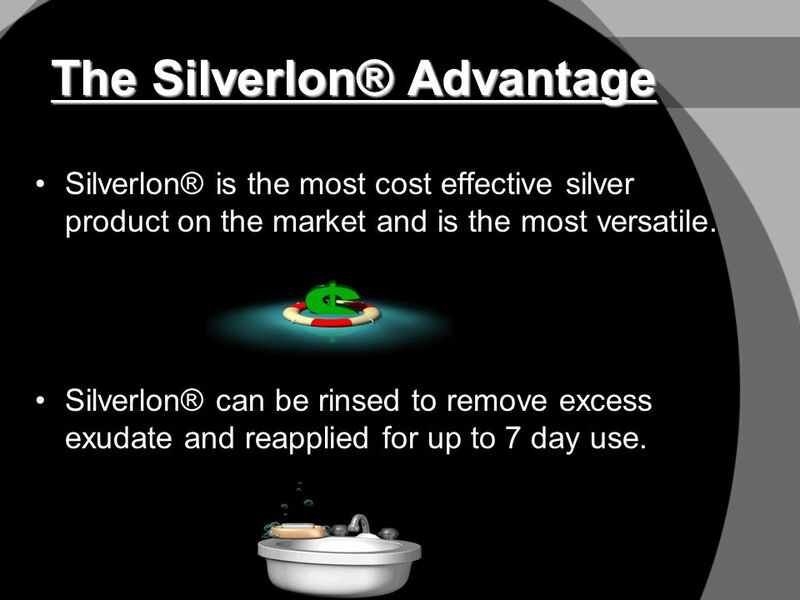 Silverlon® can be rinsed to remove excess exudate and reapplied for up to 7 day use. 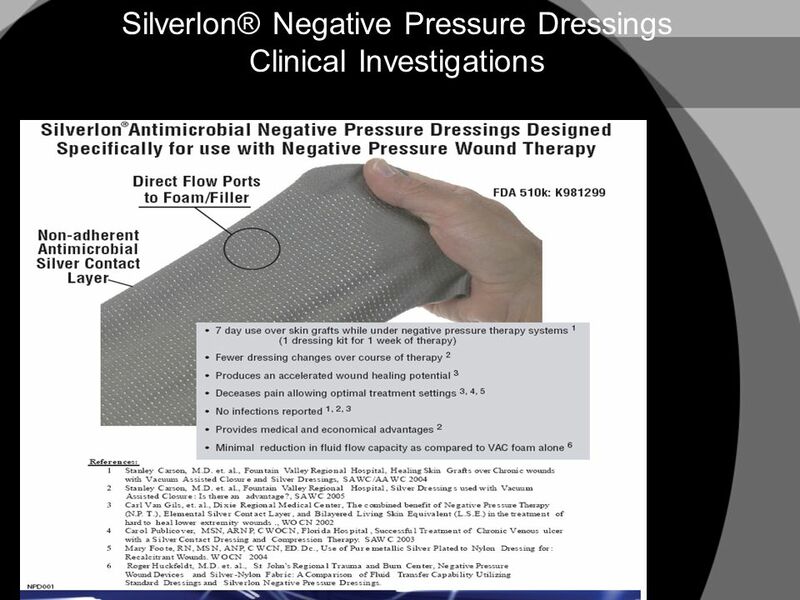 Combine Silverlon® NPD with NPWT Accelerates Healing Potential. 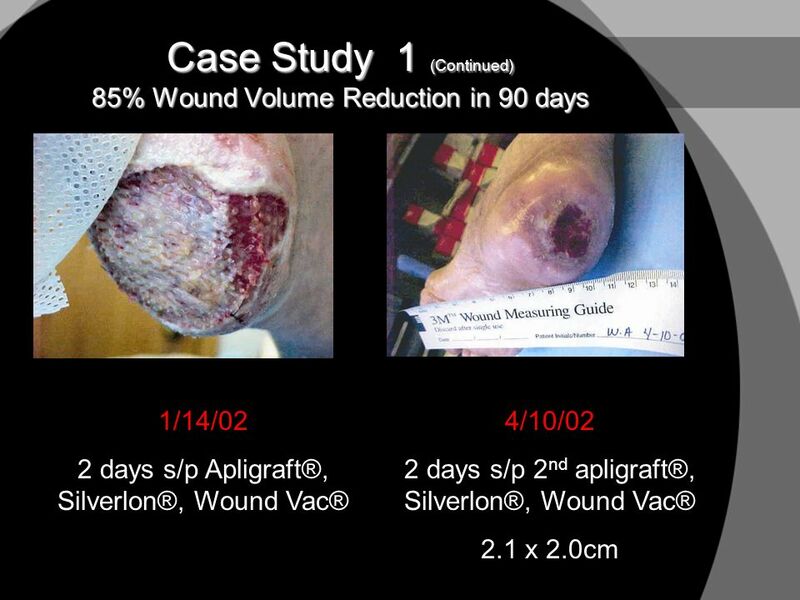 Proven in over 300 patient trials to enhance and accelerate granulation and wound closure by 20% to 40% vs. Conventional protocols. 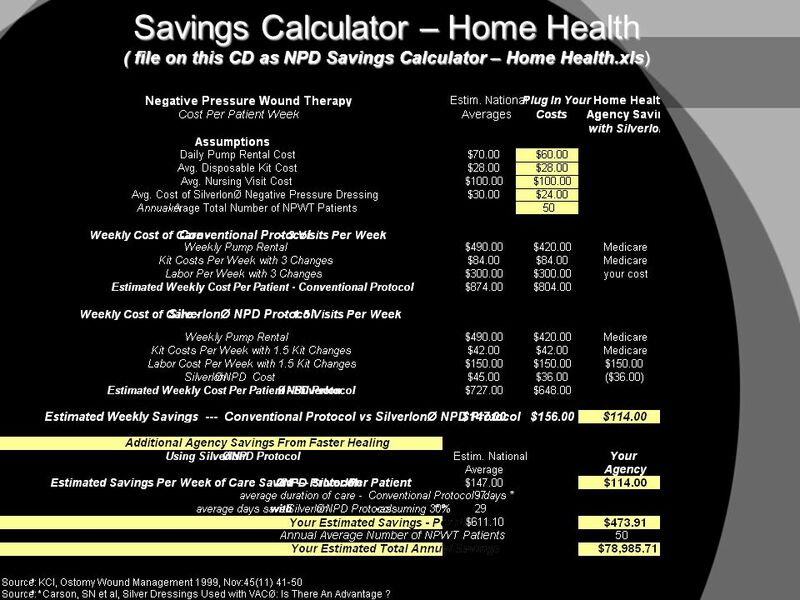 Reduces Overall Cost of NPWT. 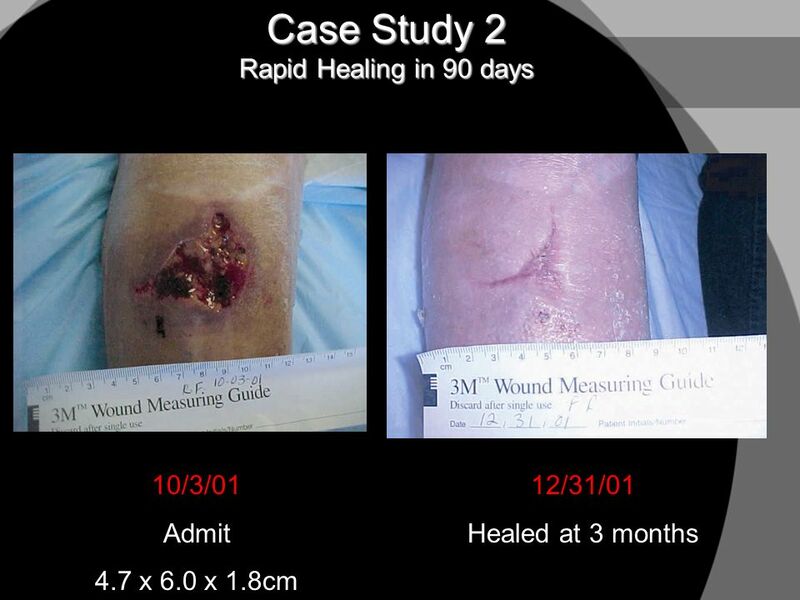 Wounds heal quicker, saving rental charges, kit costs, and nursing time. Lowers Infection. 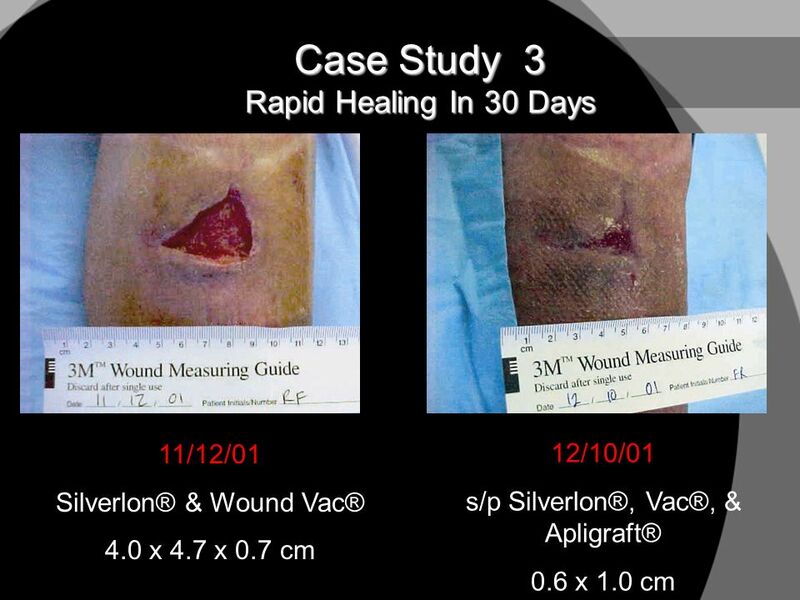 Proven in over 300 patient trials to lower the risk of the media re-infecting the wound bed. 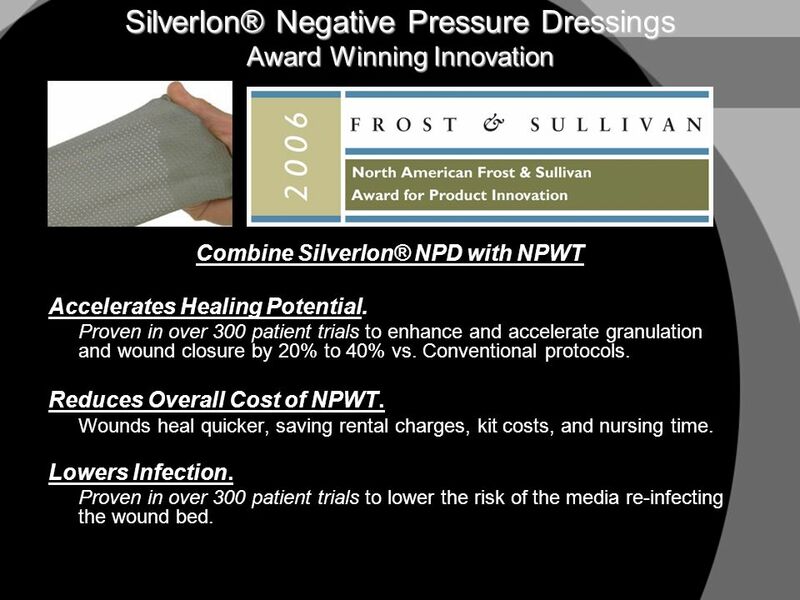 Combine Silverlon® NPD with NPWT: (Continued) Reduces Foam Sticking to the Wound. 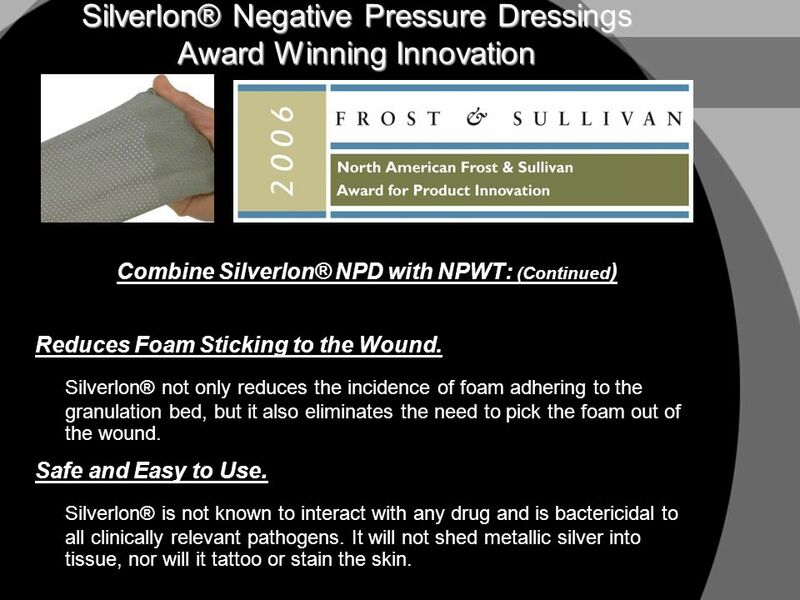 Silverlon® not only reduces the incidence of foam adhering to the granulation bed, but it also eliminates the need to pick the foam out of the wound. Safe and Easy to Use. 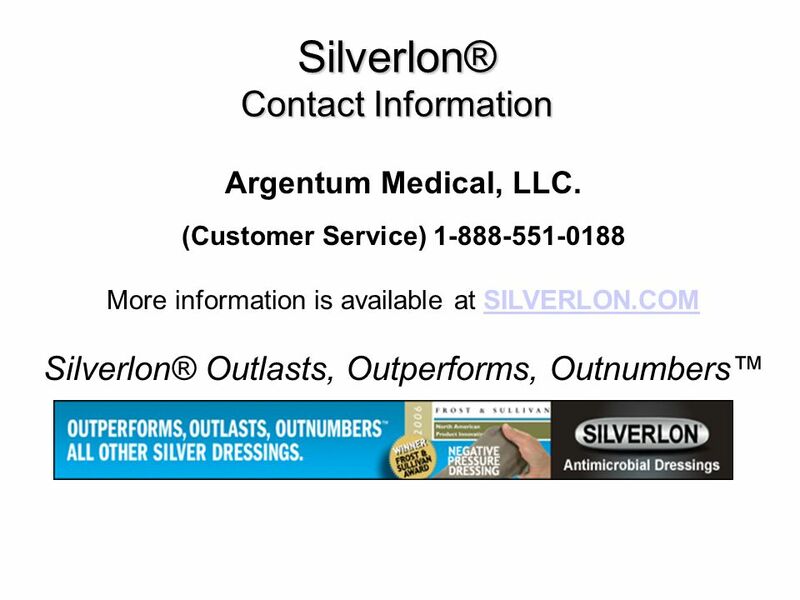 Silverlon® is not known to interact with any drug and is bactericidal to all clinically relevant pathogens. It will not shed metallic silver into tissue, nor will it tattoo or stain the skin. Professional Guidelines For Use Moisten dressing with sterile or clean water. Saline may be used for irrigation, but should be avoided as the primary wetting agent. 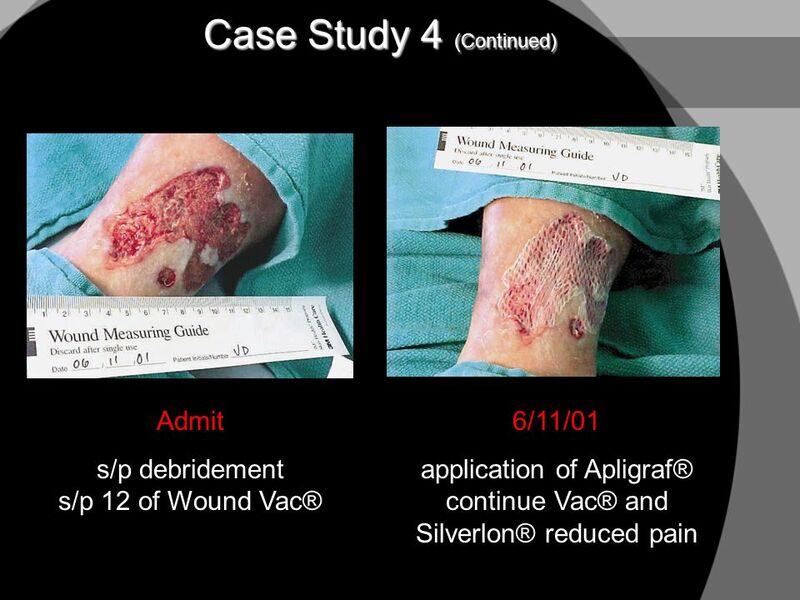 Apply either side of dressing in direct contact with wound bed and walls, and overlap wound edges onto healthy skin. 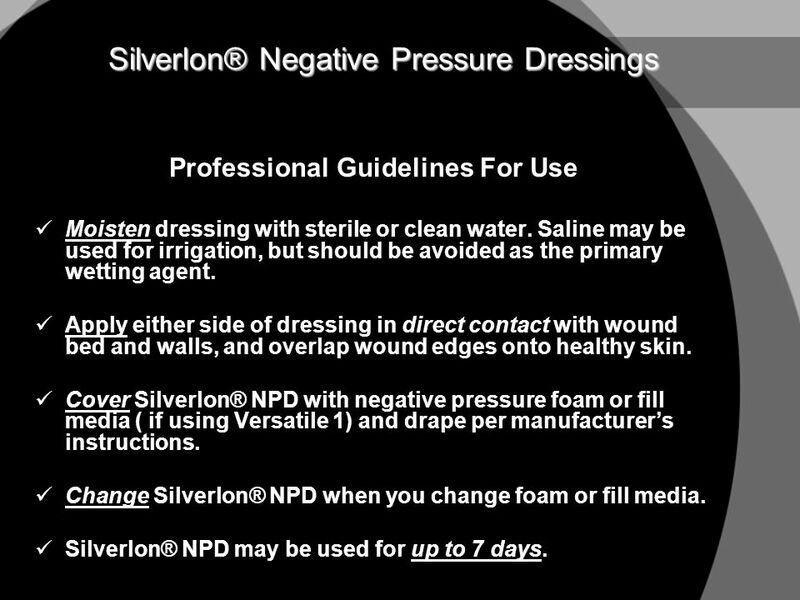 Cover Silverlon® NPD with negative pressure foam or fill media ( if using Versatile 1) and drape per manufacturer’s instructions. Change Silverlon® NPD when you change foam or fill media. 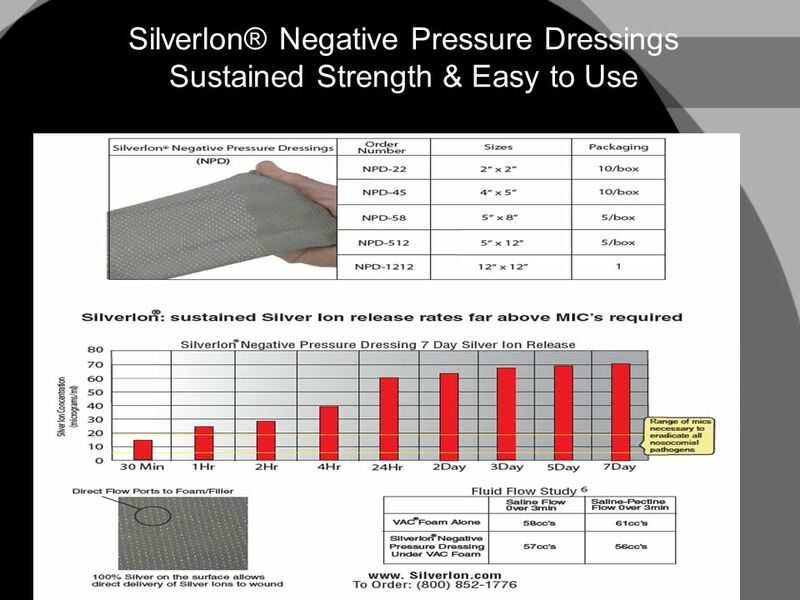 Silverlon® NPD may be used for up to 7 days. 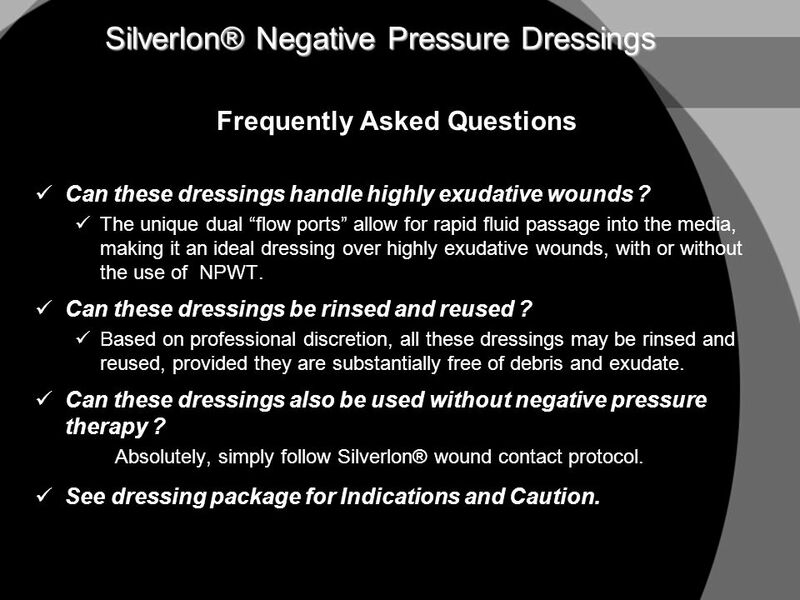 Frequently Asked Questions Can these dressings handle highly exudative wounds ? 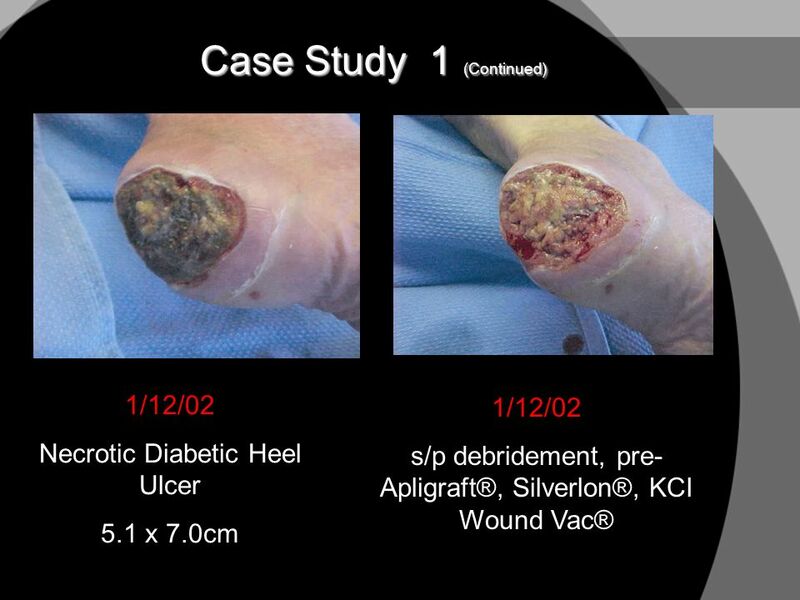 The unique dual “flow ports” allow for rapid fluid passage into the media, making it an ideal dressing over highly exudative wounds, with or without the use of NPWT. Can these dressings be rinsed and reused ? 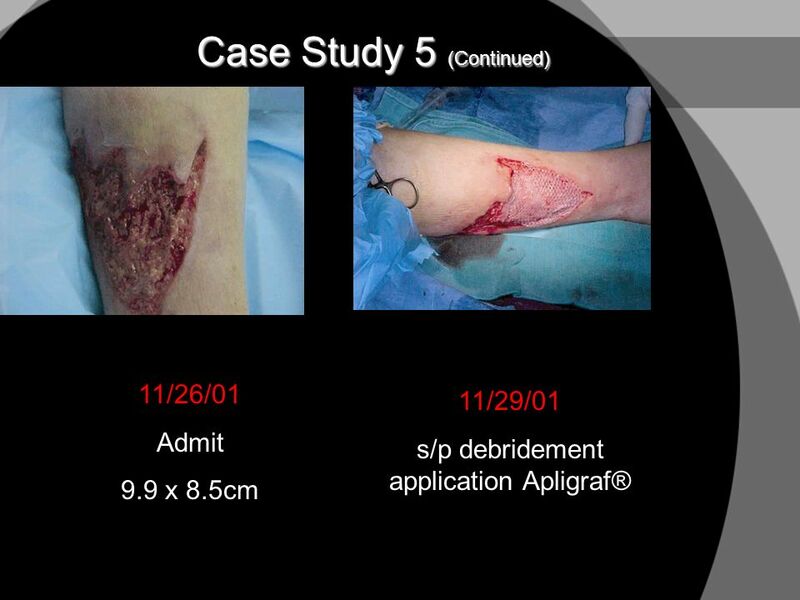 Based on professional discretion, all these dressings may be rinsed and reused, provided they are substantially free of debris and exudate. Can these dressings also be used without negative pressure therapy ? 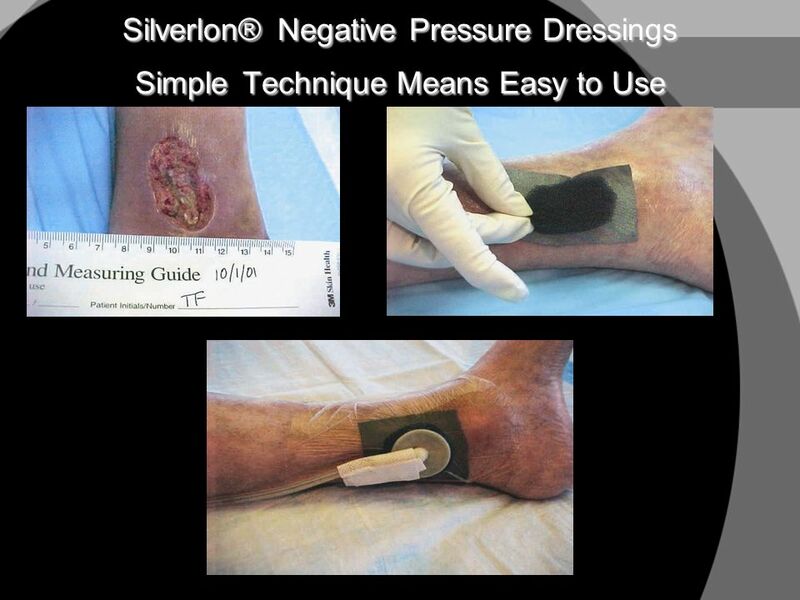 Absolutely, simply follow Silverlon® wound contact protocol. See dressing package for Indications and Caution. 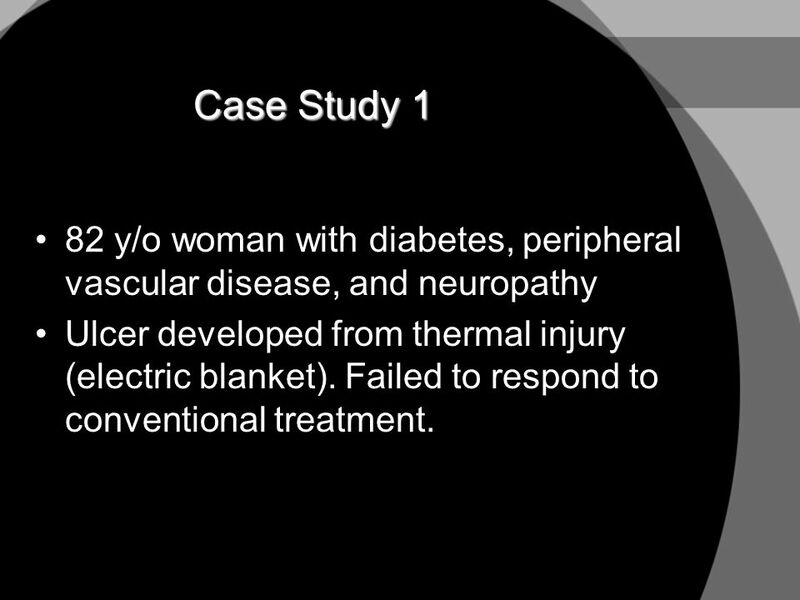 12 Case Study 1 82 y/o woman with diabetes, peripheral vascular disease, and neuropathy Ulcer developed from thermal injury (electric blanket). 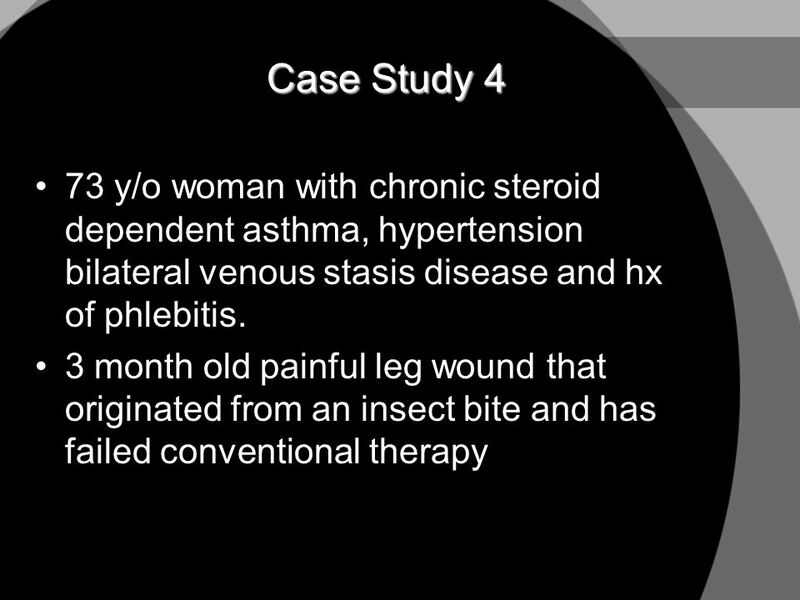 Failed to respond to conventional treatment. 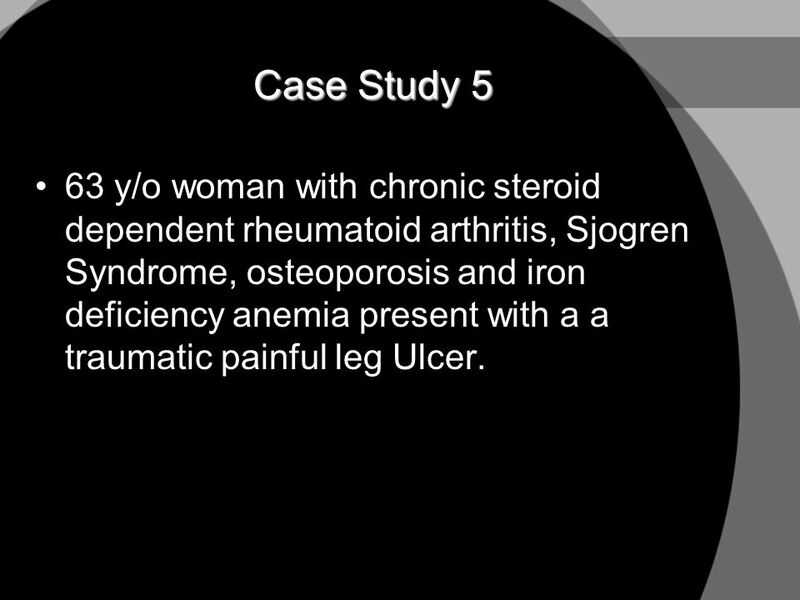 20 Case Study 5 63 y/o woman with chronic steroid dependent rheumatoid arthritis, Sjogren Syndrome, osteoporosis and iron deficiency anemia present with a a traumatic painful leg Ulcer. 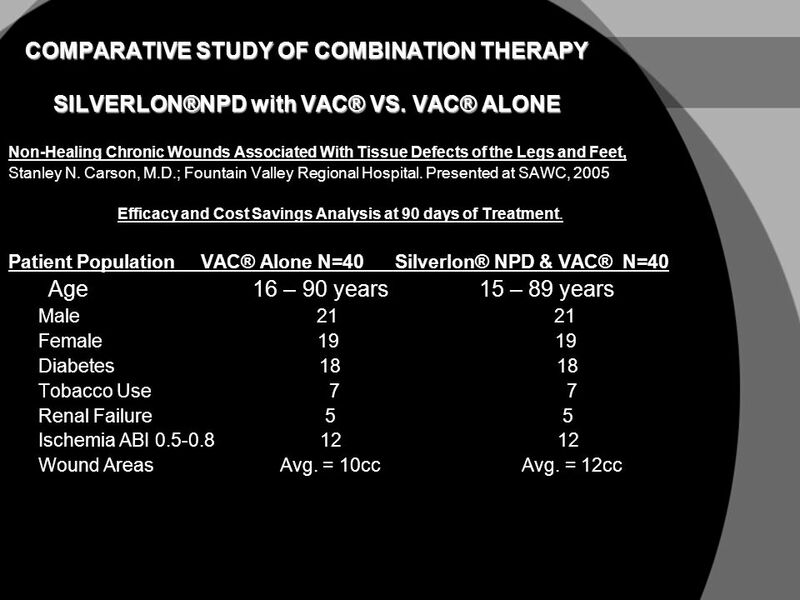 23 Efficacy and Cost Savings Analysis at 90 days of Treatment. 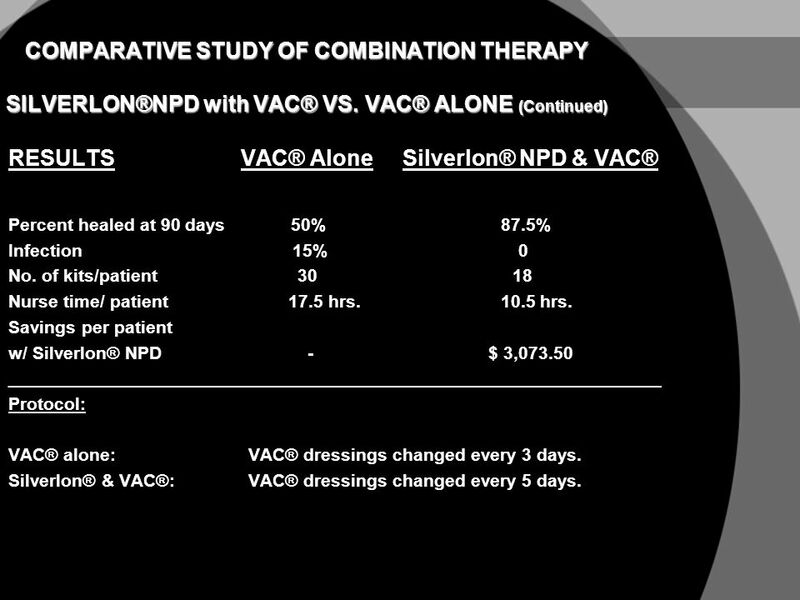 COMPARATIVE STUDY OF COMBINATION THERAPY SILVERLON®NPD with VAC® VS. VAC® ALONE (Continued) RESULTS VAC® Alone Silverlon® NPD & VAC® Percent healed at 90 days % % Infection % No. of kits/patient Nurse time/ patient hrs hrs. 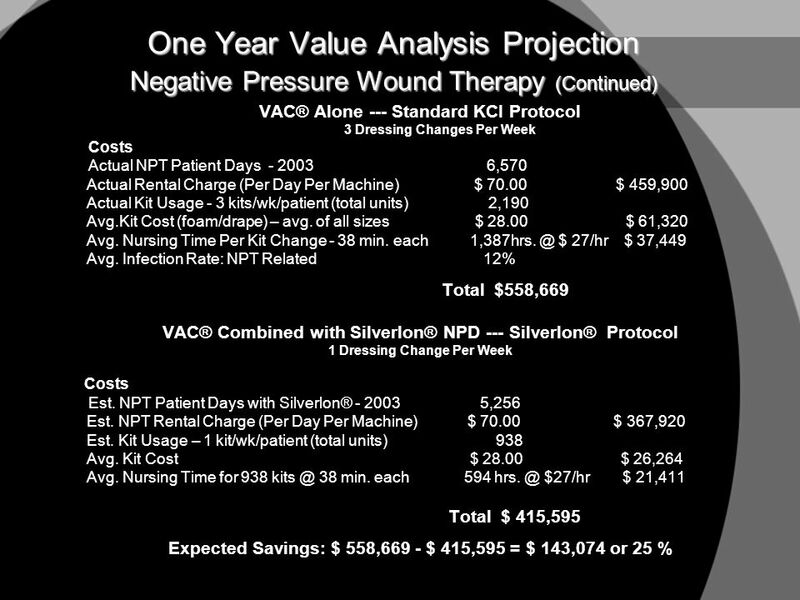 Savings per patient w/ Silverlon® NPD $ 3,073.50 __________________________________________________________________ Protocol: VAC® alone: VAC® dressings changed every 3 days. 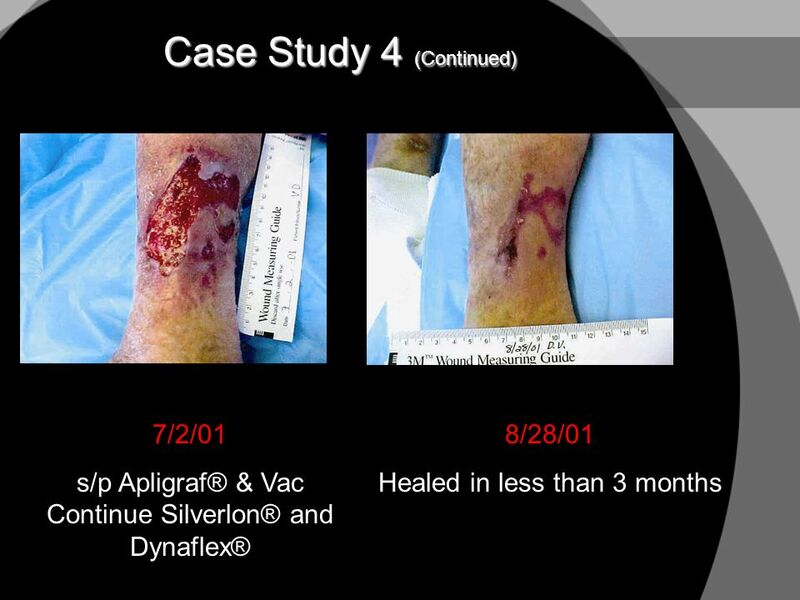 Silverlon® & VAC®: VAC® dressings changed every 5 days. 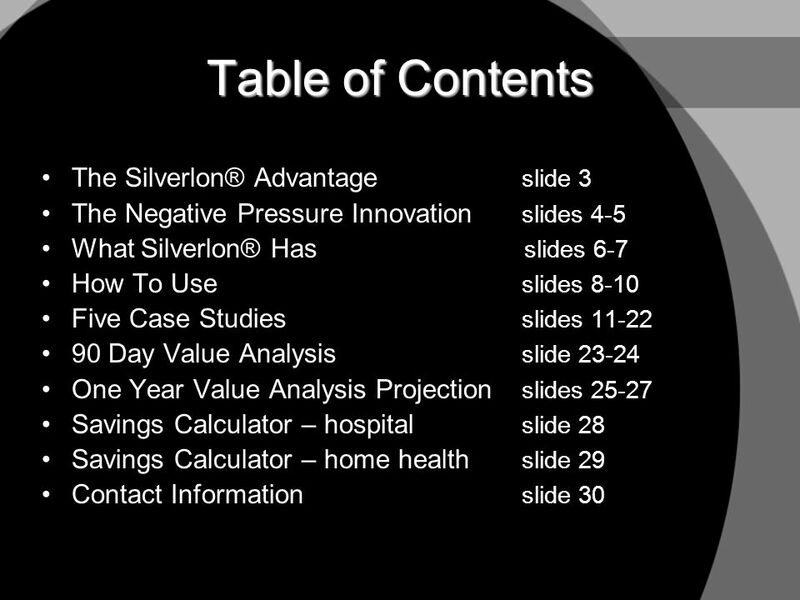 27 Expected Annual Savings Can your silver dressing do this ? 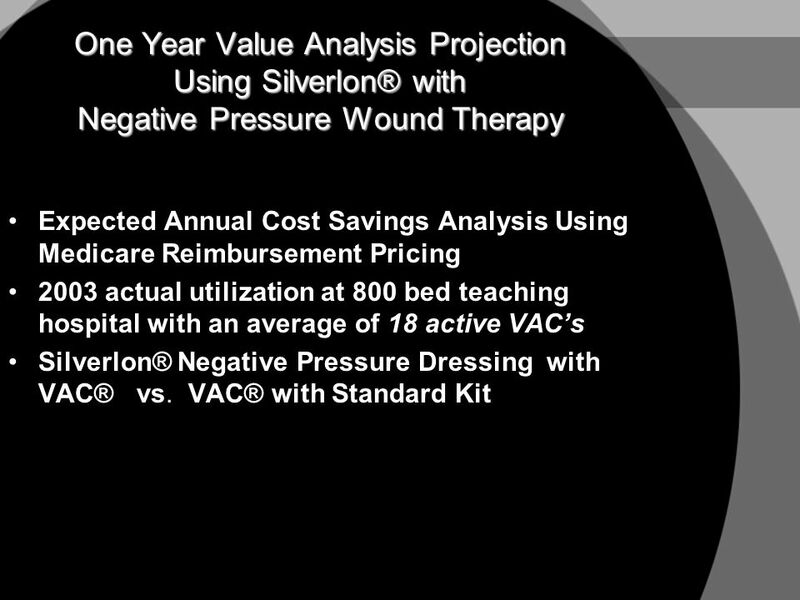 One Year Value Analysis Projection Negative Pressure Wound Therapy (Continued) Expected Annual Savings Rental Savings from fewer rental days needed: $ 459,900 - $ 367,920 = $ 91,980 or 20% Disposable Kit Savings from fewer kits used: 2,190 – 938 = 1,254 saved $ 35,056 or 57% Nursing Time Savings from fewer kit changes: 1, minutes = 793 hrs. 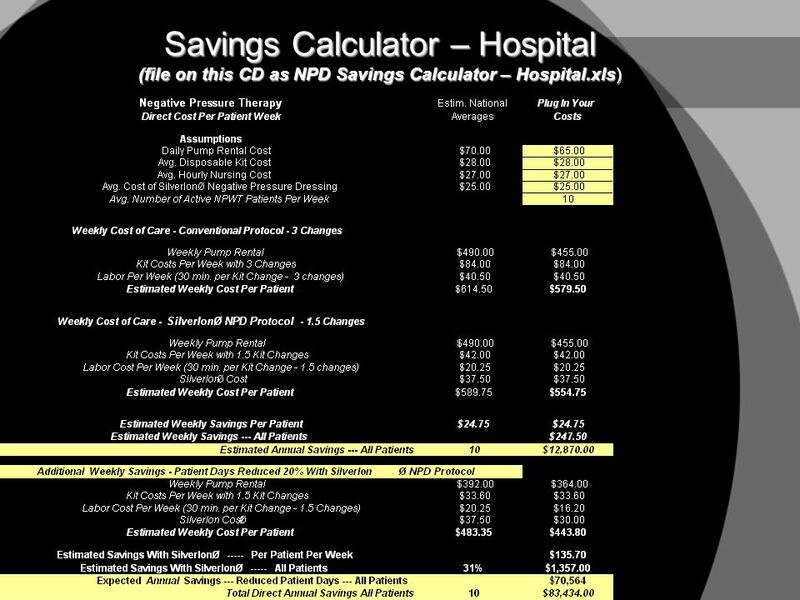 or 57% Payroll Dollars Saved: (793 nurse hours x $ 27 avg.) 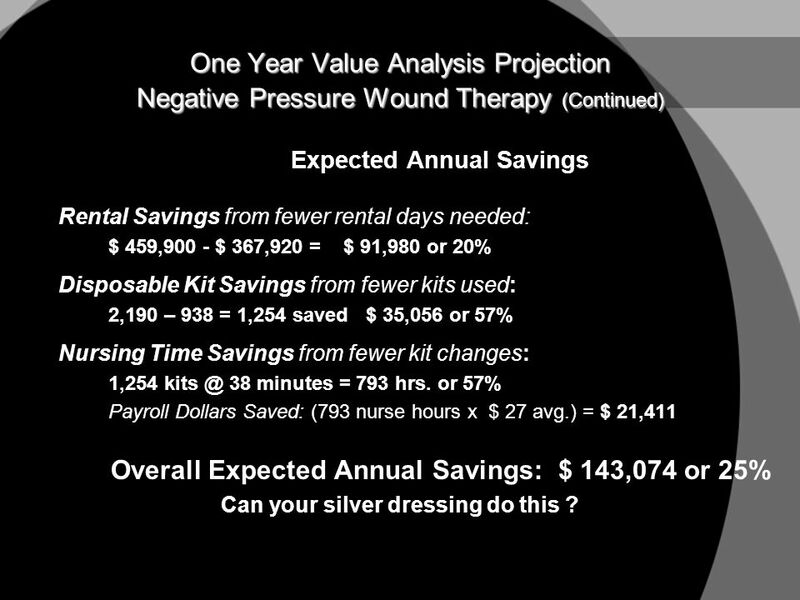 = $ 21,411 Overall Expected Annual Savings: $ 143,074 or 25% Can your silver dressing do this ? 1 January 5, 2014 ©Copyright 2010 Jacqueline Madrigal Benefits Manager. Solving the Faculty Shortage in Allied Health 9 th Congress of Health Professions Educators 4 June 2002 Ronald H. Winters, Ph.D. Dean College of Health.